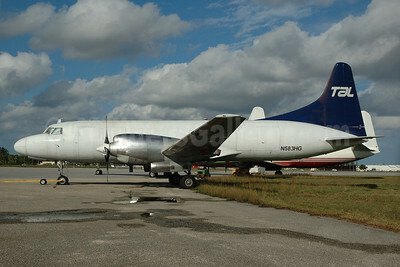 (formerly Trans-Air Cargo Services) (GJB) (Opa-locka, FL) 1984 - 2004. Photos. Framable Color Prints and Posters. Digital Sharp Images. Aviation Gifts. Slide Shows. TAL (Trans-Air-Link) Convair 580 N583HG (msn 65) OPF (Bruce Drum). Image: 100663.